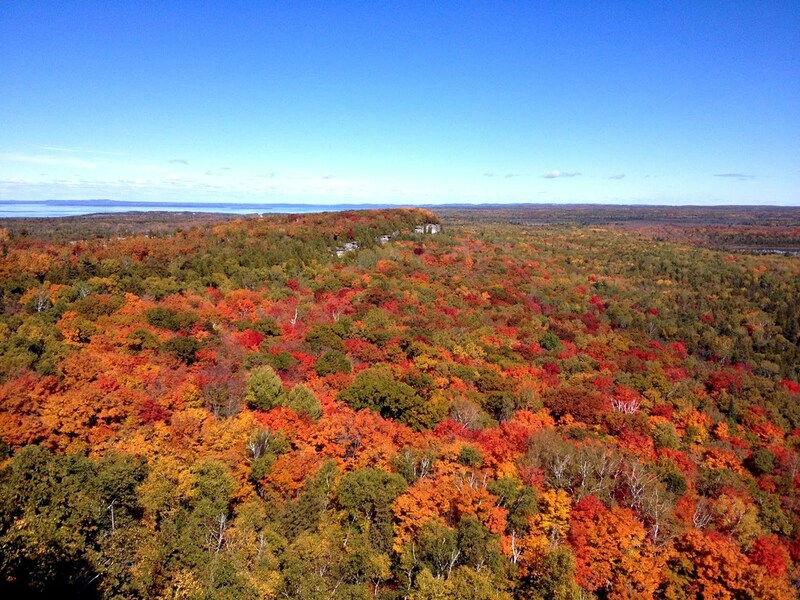 Our 2-day fall colours tour takes us north from Toronto to the Bruce Peninsula and Tobermory. 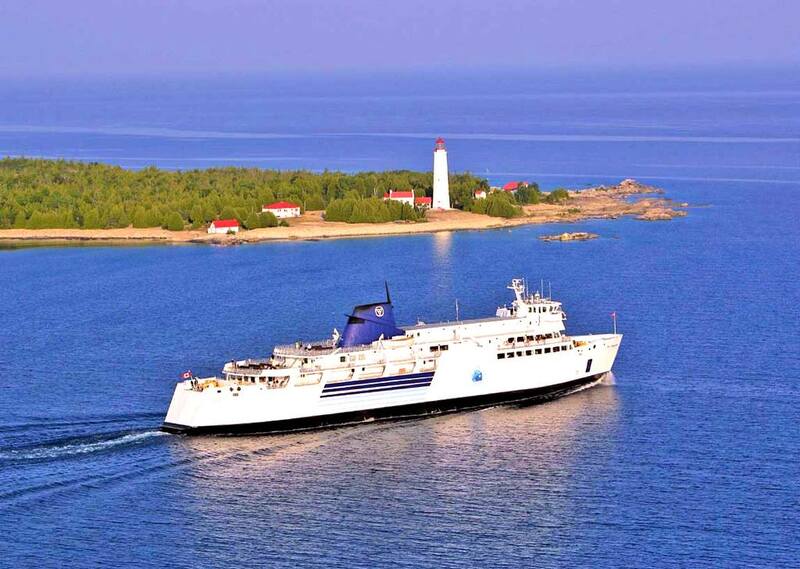 The highlight of the tour is a 5-hour cruise on Georgian Bay from Tobermory to Owen Sound during the fall colours season past the spectacular coastline of the Bruce Peninsula. Besides the terrific views, the cruise also includes a hot & cold lunch buffet and live entertainment by the Lounge Lizards. In addition, our trip includes a visit and guided tour at the very impressive Martyr's Shrine in Midland following which we travel to our fabulous hotel, the Inn On The Bay in Owen Sound where we have a wonderful group dinner arranged for you followed by the opportunity to sit on the deck or veranda and look out over the bay. Round trip transportation from the Toronto area on deluxe highway motor coach. 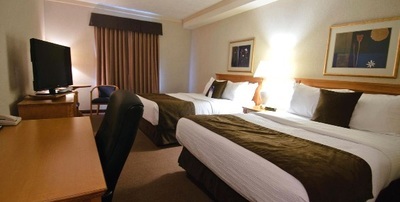 One night's accomodations at the fabulous Inn On The Bay, the #1 rated award winning hotel in Owen Sound included. 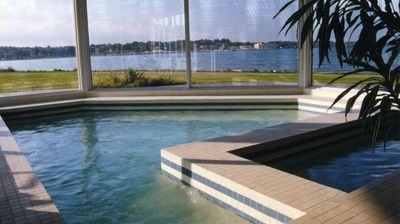 Deluxe group dinner buffet at the Inn On The Bay included. Continental breakfast on Monday morning included. 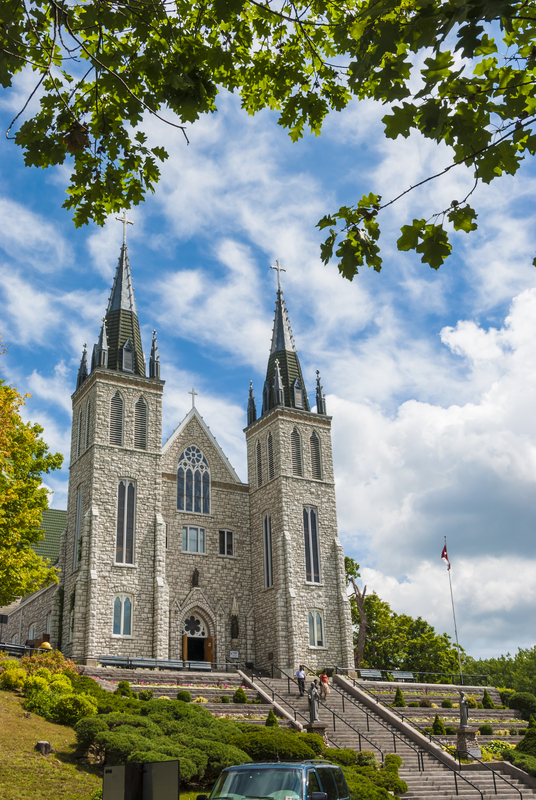 Admission and guided tour at the Martyr's Shrine in Midland included. 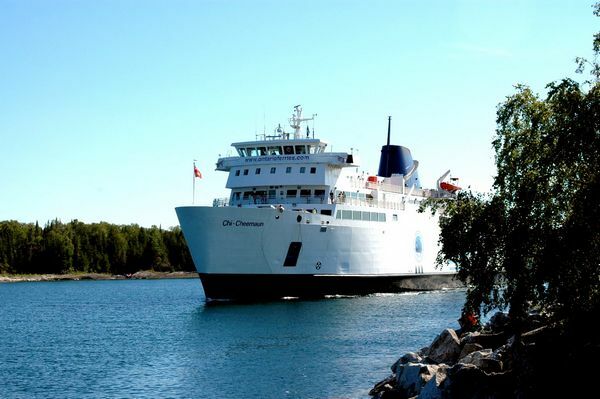 One way 5-hour cruise ticket aboard the MS Chi-Cheemaun included. Hot & Cold buffet on board the boat included. 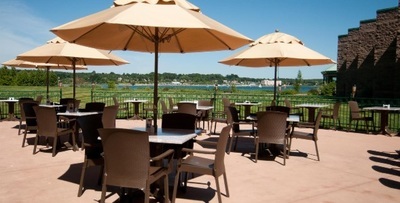 Cash bar is available for soft drinks and alcoholic beverages. Live music on board the boat provided by The Lounge Lizards. Complimentary water and snacks on the bus included. All tips included. HST extra. Prices below are per person, in Canadian dollars. All tips are included. HST is extra. We expect to return to the Toronto area at approximately 9:00 PM on Monday evening. Children 10 and older are welcome on this tour. Price for children is the same as adults. We do not charge single supplements or surcharges! You are not required to bring a travel companion to get the double occupancy price! We will assign a roommate of the same gender to you and if we are unable to find a roommate, we pay the single occupancy surcharge! Of course if you wish to have a private room by yourself, that is not a problem, you can pay the Single occupancy rate. Other options are Triple occupancy (if three of you are travelling together and wish to share a room) and Quad occupancy (if four of you are travelling together and wish to share a room). Cancel at least 30 days before departure to receive a full refund of all amounts paid. Sorry but no refunds if cancellation is less than 30 days before departure. To cancel your reservation, simply log into your customer account or send us an email and we'll cheerfully send you a refund. Please note your seat is fully transferable to anyone else at any time up to the time of departure. There is no charge for passenger name changes. Our 5-hour cruise will be on the MS Chi-Cheemaun boat/ Literally translated, "chi-cheemaun" means "big canoe" in Ojibwe. A trip aboard Chi-Cheemaun is a long standing Great Lakes tradition dating back to the 1930s when a small, wooden vessel, Kagawong, first ferried automobiles across the Georgian Bay between Tobermory and South Baymouth. The Chi-Cheemaun features a drive-on, drive-off bow and stern to allow easy access for cars, trucks and buses. The ship is 111 m (364 ft) with a 19 m (62 ft) beam and has capacity for 648 passengers and 143 vehicles. The view of the Bruce Peninsula from the upper decks is stunning and of course we will be travelling at an ideal time of the year to see the changing of the leaves. 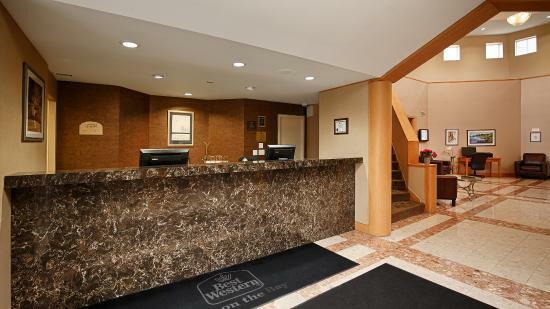 Our hotel on this trip will be the Best Western Inn On The Bay, the #1 rated award winning hotel in Owen Sound. 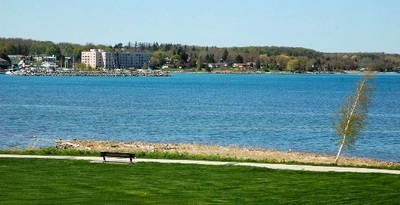 It is located in a fantastic location, right on the shores of the Georgian Bay where the Niagara Escarpment meets Georgian Bay. The views of the bay are stunning and just steps away from the hotel. We will also be having our group dinner at the Bishop's Landing Restaurant, the full service restaurant right on the premises.